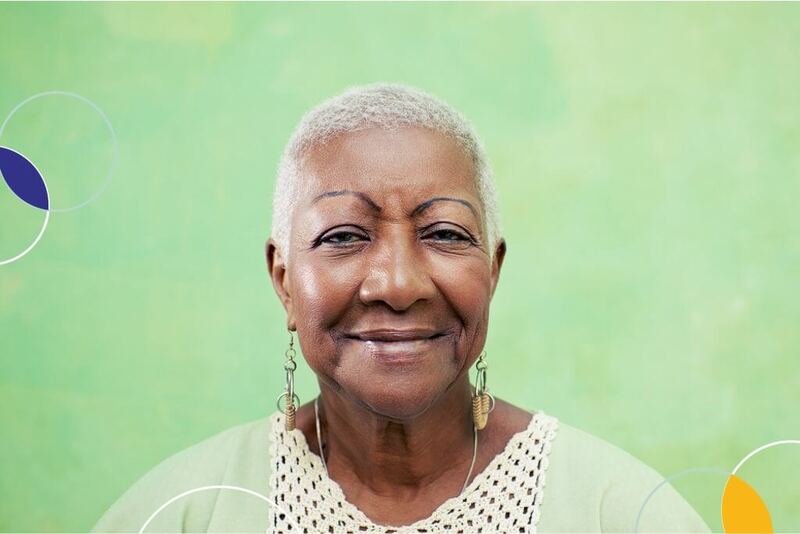 Adults aged 60 or older who self identify as lonely are 59% more likely to experience a decrease in their ability to perform daily activities. The number of traditional caregivers available for the elderly is expected to decline almost three-fold by 2050. Seniors account for the highest level of healthcare spending of all age groups, with nearly 50% of an individual’s health care expenses spent after the age of 65. The world is confronting an aging demographic. By 2050, 22% of the world’s population will be aged 60 or over. We employ able seniors – AgeWells – to visit less able seniors in their homes to reduce isolation. Using smartphones during home visits and our proprietary health screening tool, AgeWells collect critical information that helps identify clinical, social and environmental issues. Depending on health screening responses, algorithms trigger referrals to social services and medical professionals. AgeWell referrals help avert high cost interventions, such as hospitalizations, hospital readmissions and unnecessary emergency room utilization. 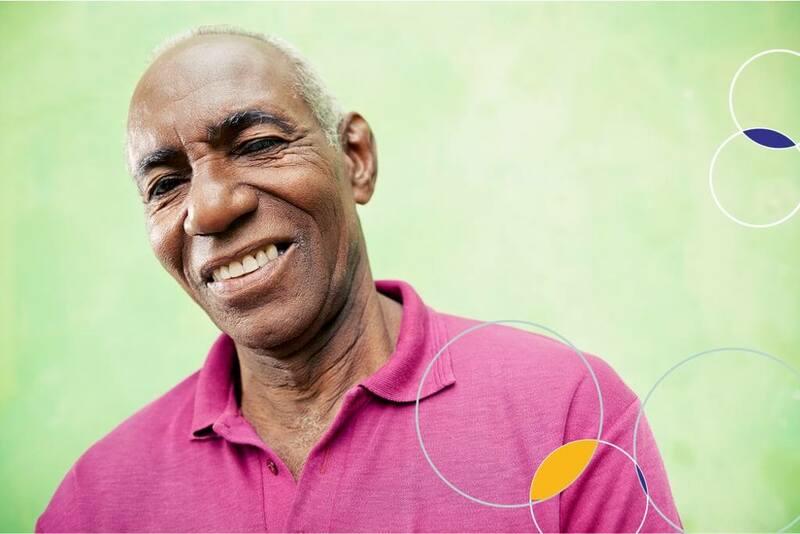 AGEWELL SUPPORTS PEOPLE AS THEY AGE: IMPROVING WELL-BEING AND REDUCING MEDICAL COSTS. AgeWell makes older persons part of the solution. AGEWELL HELPS IMPROVE STAR RATINGS AND REDUCE DISENROLLMENT. 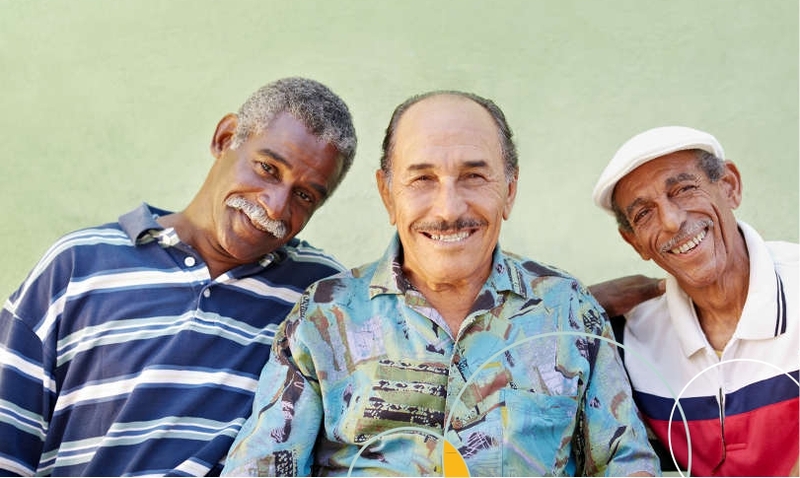 Agewell's model combines best practices of several care coordination models: employing able older people as companions; providing social engagement through home visits; and deploying a mobile health screening tool to identify and address evolving health and social problems before they escalate. This program is designed to prevent hospital readmissions during and beyond the 30 day post-discharge period. AgeWells meet patients before discharge or at the end of transitional program to conduct regular health screenings and facilitate follow-up appointments. Designed to avert preventable hospitalizations and ER visits, this program targets the highest utilizers of medical services and members that health systems have the hardest time engaging and retaining in care. Engaging these members is easier for AgeWell peers, who come from the same neighborhood and demographics, than it is for health professionals. reduce isolation and improve well-being. Using smartphones, AgeWells gather critical data on social and healthcare needs. Algorithms trigger referrals to appropriate care and service providers. AgeWells foster independence and help older persons remain in their own homes and communities. Our Medical Advisory Committee of gerontologists has crafted and refined AgeWell’s health screening tool, consisting of 20 observations and 20 questions, first developed for the South African pilot. 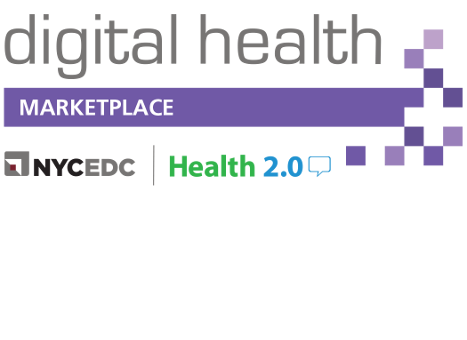 It is designed to identify evolving health and social problems based on recorded observations and responses. The AgeWell fills out the 20/20 on a smartphone during home visits. Depending on the responses, algorithms may trigger referral recommendations to medical professionals and social services providers. mothers2mothers is a leader in global efforts to end paediatric AIDS. m2m has reached more than 1.3 million HIV-positive women in nine African countries with its scalable, high-impact peer approach that has been proven to reduce mother-to-child transmission rates and create significant savings through averted HIV treatment costs. 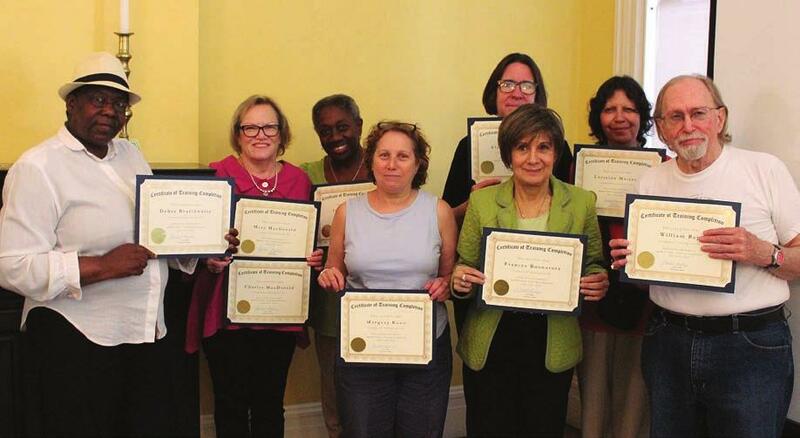 Through partnerships with community-based organizations, AgeWell recruits able older people to become companions, called “AgeWells.” They are screened, trained, and matched to specific individuals based on several factors including: demographics, geography, gender, language, personality, and interests. AgeWells are compensated for the important work that they do. 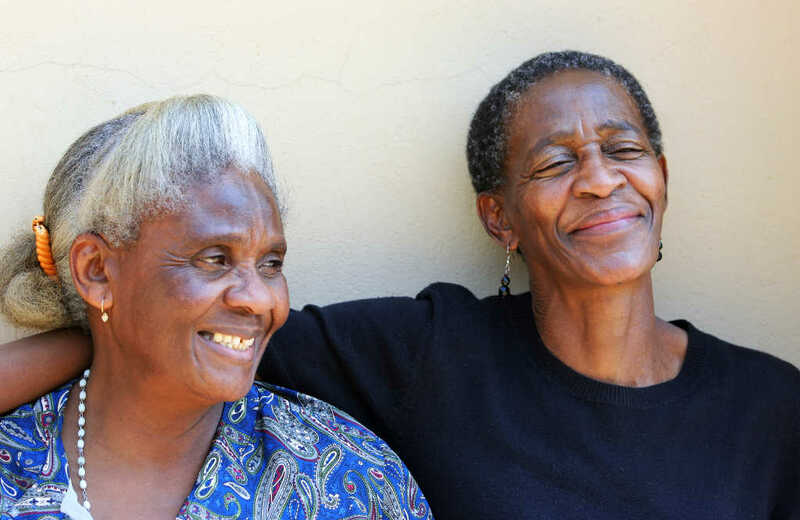 Piloted in two communities in Cape Town, South Africa in 2014, the AgeWell model achieved a 50% increase in well-being scores amongst participants within the first month of service and a 95% reduction in signs of depression, improvements that were sustained for the pilot’s duration. Pilot participants with identified medical and social problems were also successfully referred to appropriate providers. The AgeWell team brings a wealth of healthcare experience to our new venture, including leadership and founding positions in the not-for profit and for-profit sectors. Team members have worked in healthcare startups and Fortune 500 companies, on the frontlines battling deadly disease, and in the back office, running a billion dollar Medicaid program. Dr Mitchell Besser is a graduate of Harvard Medical School. As an obstetrician and gynecologist, his professional career was first dedicated to the public health needs of women. In 2001, Dr. Besser founded mothers2mothers (www.m2m.org), an Africa-based, peer-to-peer support program in which mothers living with HIV are employed to work in health centers and communities, educating and supporting pregnant women and new mothers with HIV. In the ensuing decade, the program grew to reach 20% of pregnant women living with HIV globally. Mitch has now launched AgeWell, a similar peer-to-peer model employing older adults to improve the social well-being and physical health of older persons. AgeWell was successfully piloted in South Africa in 2014 attracting the attention of the World Health Organization. It is now launching in the U.S. Dr. Besser has received Global Health Council’s Best Practice Award, Skoll Award for Social Entrepreneurship, Presidential Citizens Award of the United States Government, and is an Ashoka and Schwab Fellow. He has presented at TED, appeared on BBC’s Forum and has given a Friday Evening Discourse at the Royal Institution of Great Britain. Jack Downey has extensive experience in developing and managing large, complex health and education programs in more than 30 states and in 40+ countries in Asia, Africa, Latin America, and Eastern Europe. Starting his career as a Peace Corps high school headmaster in Kenya, he later focused on community enterprise programs for VITA, a global NGO, and for the US Agency for International Development, USAID, in Sudan’s Kordofan and Darfur provinces. He then moved to AED, a large international NGO, heading up business development for 12 years and as Chief Operating Officer for 10 years. Most recently, he moved to the International AIDS Society in Geneva where he was responsible for partnerships, donor relations, and fundraising in support of IAS’ global policy and advocacy agenda for HIV/AIDS. Active in the Society for International Development (SID) for the past 25 years, he has served on the SID advisory council in Rome, Italy, as president of the SID/Washington Chapter and is currently a member of the SID/Washington board. Mark Heffernan is AgeWell’s Chief Financial Advisor. He has an extensive background in the financial and strategic management of non-profit, commercial, and academic organizations. Prior to his consulting work, Mark was the Chief Financial Officer for mothers2mothers, a leader in the global fight to eradicate pediatric AIDS. Earlier, he was the Vice President of Finance and Administration for JHPIEGO, a Johns Hopkins Affiliate organization, where he oversaw financial strategy, management and international operations for more than $200 million dollars of global health programs in Africa, Asia, and Latin America. Mark holds an MBA from the Wharton School and obtained his undergraduate degree from Georgetown University’s School of Foreign Service. He is a Certified Public Accountant. Dr David Bensinger is AgeWell’s Chief Technology Officer. Previously, David worked at Deloitte Consulting and then went on to found his own consulting firm with the goal of setting a new standard of service for IT support for small and medium sized businesses. David earned a PhD in Brain and Cognitive Sciences from the University of Rochester's Center for Visual Science, specializing in how people process information. He now applies that study to the field of IT, helping people and businesses maximize their interactions with technology. Jewel C. Love is a veteran behavioral researcher, marketing and communications strategist dedicated to creating positive behavior change approaches. For AgeWell, Jewel is the Chief Program Officer responsible for the successful set up of pilot initiatives, including the first post-hospital discharge model in Fort Lauderdale, FL. As a nationally recognized expert, Jewel’s formal education has been amplified by two decades of broad and varied professional expertise across the private, government and community-based sectors. A seasoned communicator with a track record of excellence, she seeks and shares innovative ways to improve our lives and make the world a better place. Love’s work has been implemented in more than 25 urban, suburban and rural U.S. cities. Her three-decade career as a strategist includes top-tier management positions. Jewel is the owner of SoulStirring, LLC, Inc., a cutting-edge research, communications and marketing firm. Adora Iris Lee is the Director of Training and Curriculum Development at AgeWell Global. Over the past thirty years, she has developed a proven track record of working effectively with hospitals, health insurers, governmental agencies, non-profit organizations and faith based communities. Adora began her career as a Health Planner in Connecticut, focused on strategies to contain rising health care and hospital costs in the United States. She has since managed a wide range of preventive health projects dedicated to improving the health status of vulnerable populations in the US, Africa, the Caribbean and Middle East. Based on her extensive experience developing innovative training materials for youth, adults and the elderly, Adora most recently served as the lead Program Manager for AgeWell’s pilot in South Africa. She was responsible for curriculum development, training, and overall program implementation. Adora is a graduate of Yale, Rutgers and Howard Universities. She is also an ordained minister in a Washington DC-based congregation that serves a large elderly population. James Stanford is co-founder and Managing Director of Fitzroy Health, building tech-enabled health care services companies that address the Triple Aim. He sits on the Boards of Emu Learning, Salute Risk Management, and Care Values. Prior to joining Fitzroy, James was a strategy and marketing consultant in the health care practice at McKinsey & Company, and led Population Health Management for Objective Health. Prior to joining McKinsey, James was Director on the Faculty of the Advisory Board Academies. He earned an MBA in Health Care Management from The Wharton School at the University of Pennsylvania and holds an A.B. from Princeton University. Leon Geffen, is a Family Physician in general practice in Cape Town. He is the director of the Samson Institute For Ageing Research. He is an Honorary Senior Lecturer in the Institute of Ageing in Africa, at University of Cape Town. He is currently a fellow of interRAI and has served as the medical director of AgeWell during the pilot project implemented in Cape Town. 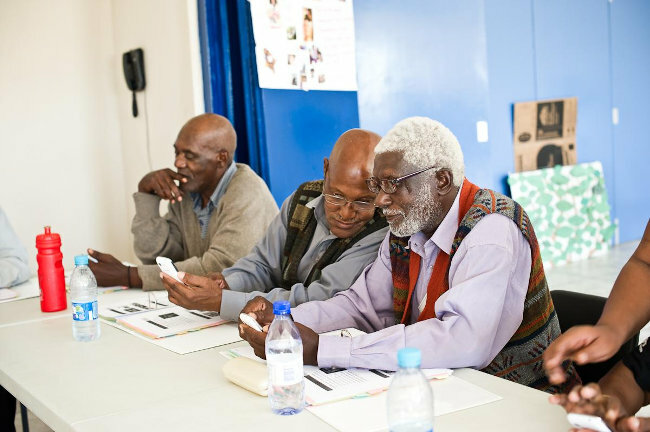 He has worked with many community-based organisations in South Africa focusing on the needs of older persons. He has worked with the Department of Health in developing a public private partnership for the delivery of primary care services to older persons. His current research is focused on enhancing primary healthcare services for older persons in low resource settings. John Berton is the General Counsel at AgeWell. John has practiced corporate and securities law on Wall Street for many years, starting his career as an associate at Cleary Gottlieb Steen & Hamilton, a preeminent international corporate and securities law firm. He then moved in-house to be counsel at Goldman Sachs & Co. for more than ten years, and also worked in-house for Jane Street Capital, a quantitative trading firm. In 2010, John left his Wall Street career and started Berton Law, a solo practice providing general corporate counsel to small companies, start-ups and individual entrepreneurs. John is a trustee of the Washington Market School and serves as trustee for two international human rights groups: Justice Trust and the International Campaign for Human Rights in Iran. In his spare time he practices and teaches Kundalini yoga and meditation and is an avid skier. John lives and works in lower Manhattan and has three children. He is a graduate of Williams College and Harvard Law School. Sarah Rohde is AgeWell's M&E Director. She is a trained public health professional and has consulted global health organizations such as UNICEF, MRC, and Save the Children on monitoring and evaluating public health data. She received her Masters in Public Health and Epidemiology from the University of Cape Town. Regina Hartman is a Senior Business Analyst at AgeWell. In this role, Regina manages key aspects of the company’s business operations, customer acquisition, and product design. She has cultivated expertise in external relations, project management, and social impact over the past 7 years through her roles within organizations such as the Global Development Incubator (GDI), United Nations, Social Capital Markets and the U.S. Olympic Committee. At GDI, Regina worked with social enterprise clients to identify capacity gaps and accelerate their impact through a 2-year integrated program of diagnostic and implementation support which included market research, strategic planning, organizational design, financial management, and optimization of product / service offerings. While completing her Bachelor's degree in Economics and Psychology at Columbia University, Regina served as an EMT and volunteer Patient Advocate with Health Leads. She worked side by side with clinicians and social workers to ensure that the basic resources patients needed to be healthy were accessible as a standard part of their quality care. Nic developed the first version of the AgeWell system for the pilot in Cape Town during 2014. He is responsible for the coding and development of the upcoming version of the AgeWell system which will be launched in the United States. Nic is an archaeologist and spends much of his time (while not coding software) in the mountains near Cape Town trail running and recording rock art sites. In 2018, AgeWell received the Trinity Health Innovation Award. 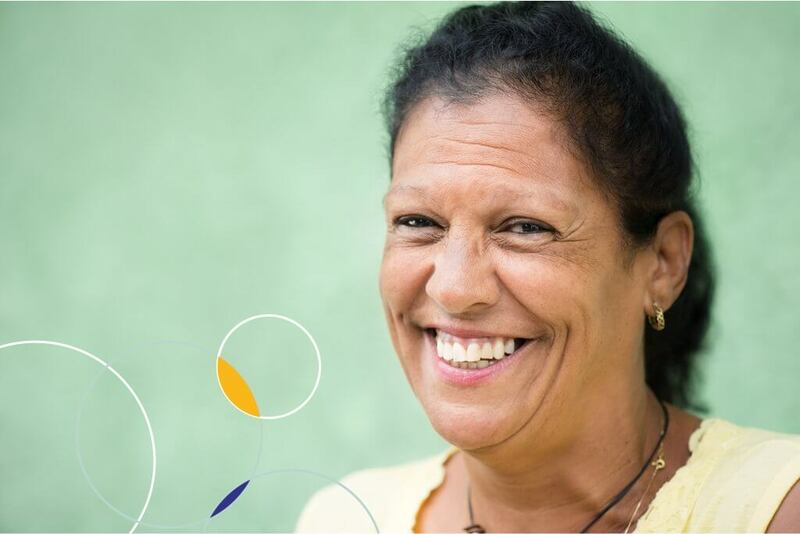 AgeWell achieved a 46% reduction in the readmission events and a 31% increase in wellbeing scores among Medicare/Medicaid Dual Eligible and Medicare patients, in Trinity Health’s Holy Cross Hospital in Fort Lauderdale, FL. Patients also received medical support and linkages to community services to minimize social isolation and loneliness.